Something personal: This quote made me laugh out loud. I was just saying to Jeff on our way home from brunch (hoping for a little quiet time before our next family outing), that it would be nice to just sit on the couch and read a magazine or a book for a little while. Instead, while the kids were napping, I sat at my computer and played around with a few Easter pictures I had just taken. I suppose it was my choice, but I find it harder and harder to “choose” to relax. It just seems like there is always something more pressing that needs to get taken care of — laundry anyone?? 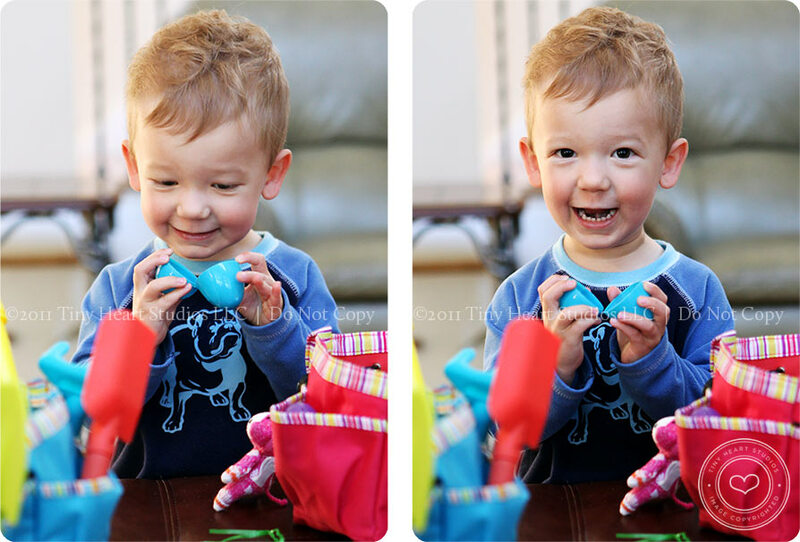 So, here are a few Easter pictures for you. We stayed up too late watching TV on Saturday night, so I put Jake & Kylie’s Easter baskets out around midnight and snapped a quick pic. 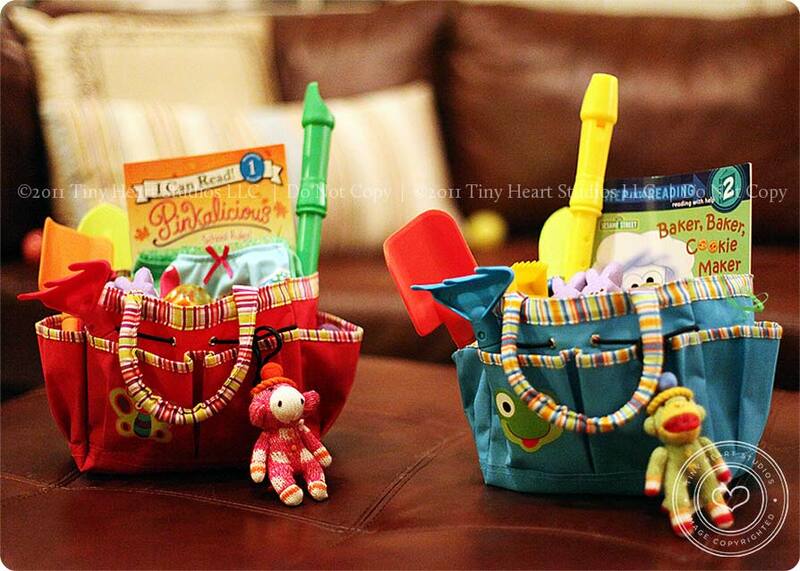 I got these adorable “gardening” baskets at Michaels a few weeks ago. They came with a rake, shovel and pick. Then I filled them with some random goodies (Jeff really hates *ahem*, I mean LOVES the recorders). Apparently the treasure in this little egg is ASTOUNDING! Daddy getting a little love from the Jakester after brunch. A cool shopping find: I haven’t posted any cool shopping stuff recently. Mostly because I haven’t had a chance to do any shopping, but I did find a couple cute things in the Pottery Barn Kids Catalog last week. 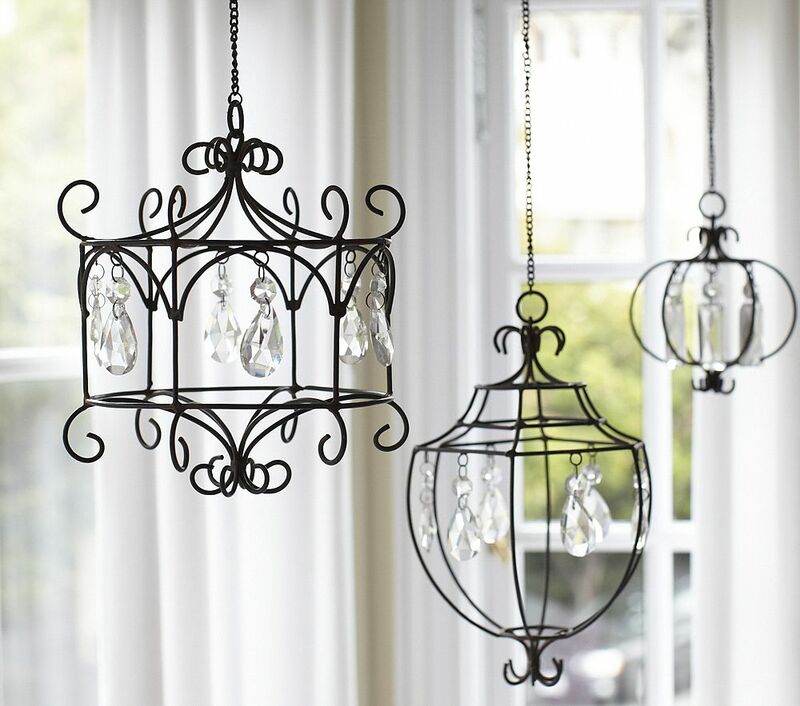 Decorative Pendants from Pottery Barn Kids. I never get tired of looking through their catalogs, but I’ve never seen these before. And priced at $24-$29, such a bargain – and a unique idea! This picture is from the website, but in the catalog they show them hanging over a crib – so cute! 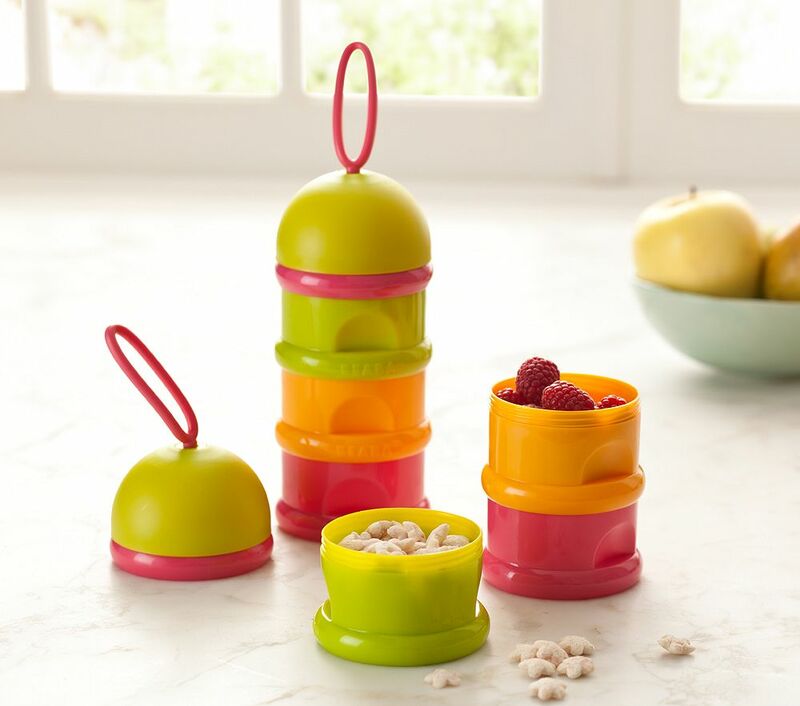 Beaba Stackable Snack Containers from Pottery Barn Kids. This looks really cool to me because Jake refuses to eat just about everything you can get in a restaurant (chicken, sandwiches, pasta, cheese, etc). 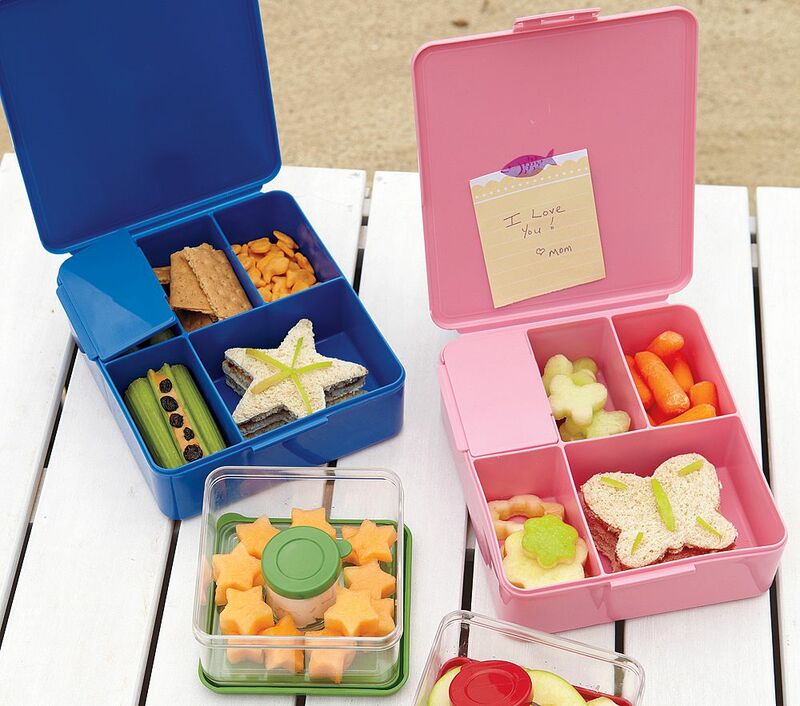 But he WILL eat cut-up finger foods (cucumbers, peppers, apples, carrots, cantaloupe). I despise having a million little ziploc bags, and I don’t want 5 containers in my bag, so this seems like a nice alternative. Plus, it could sub for a toy too right? 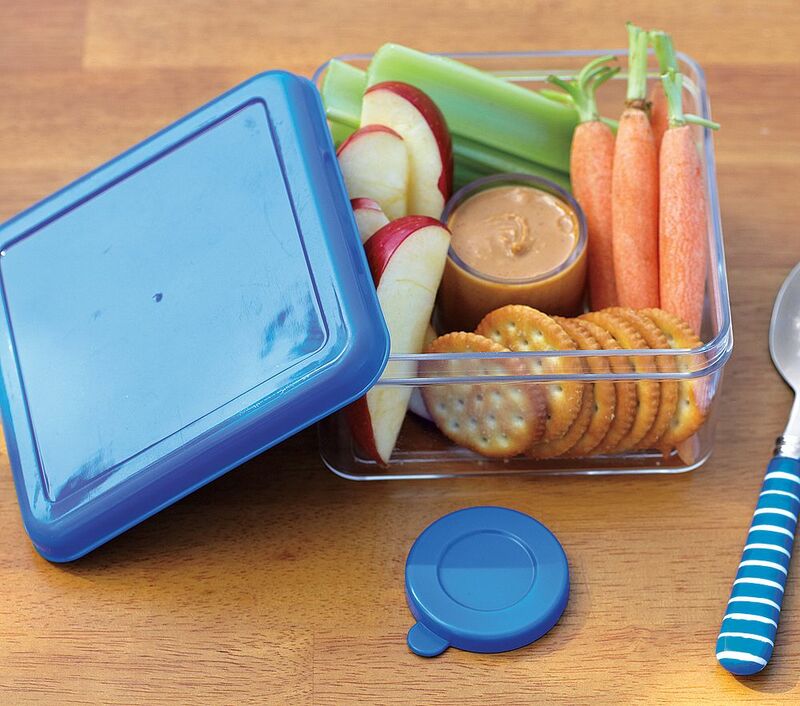 The Chip & Dip Containers are on special right now, only $8! Loving the built-in “dip” section with a lid. I was just thinking this would be great for babies too. Just put some baby food in the middle and cut-up finger food on the outside. 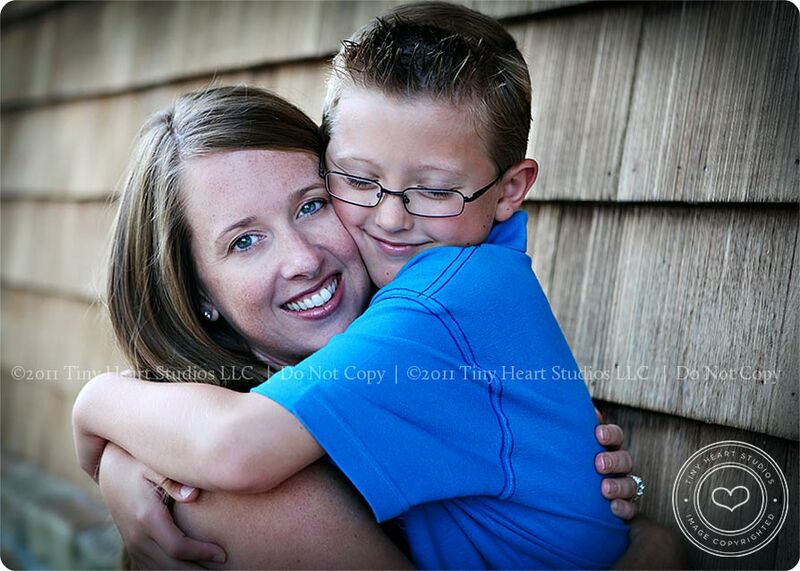 Something special for moms: In honor of all the moms out there I wanted to have some Mommy Mini Sessions. It seems ALL too often that we are the ones behind the camera and never the ones snuggling with our kiddos in the pictures. I’m planning a fun day for moms to come for a quick session with the kids. 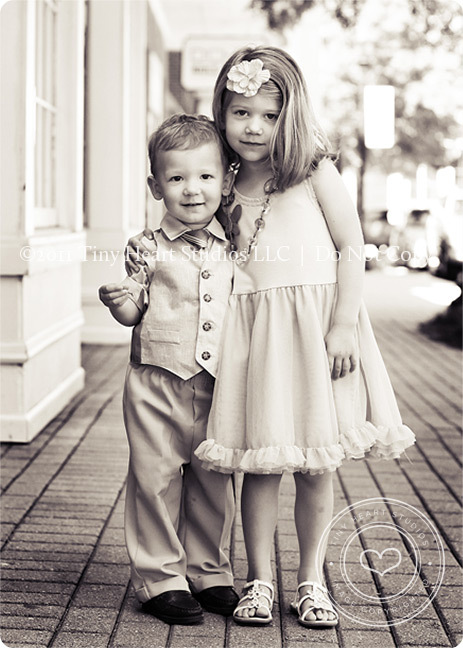 We will have snacks and props – but mostly it will just be about some cute cuddles, hugs, kisses and smiles with mom. The date will be Saturday, May 21st and the location is TBD. 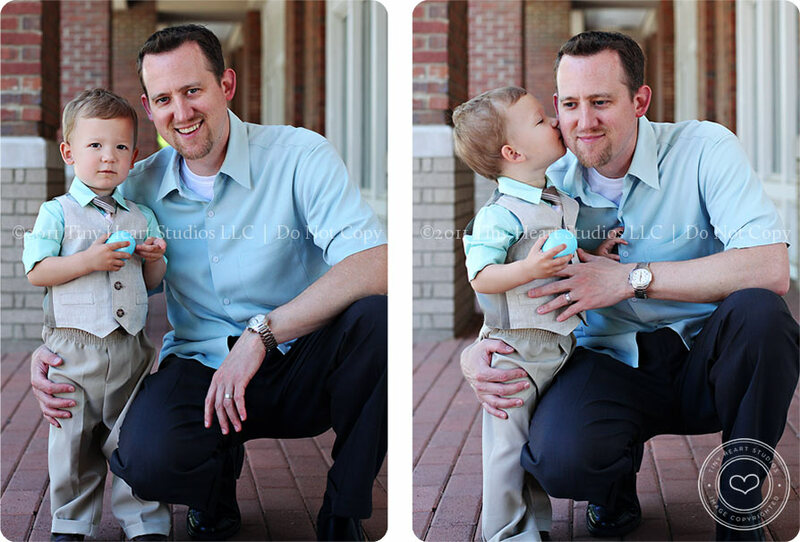 The best part is, you can cover all of your bases because I’m offering custom designed mini albums to give Dad for Father’s Day as well! Contact me ASAP to hold your spot (they are VERY limited). Payment is due at time of booking and will be non-refundable. 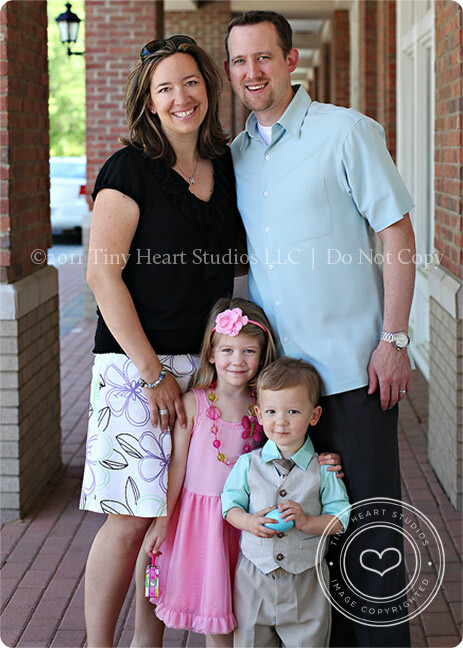 Custom designed Father’s Day books will include notes, quotes, and other details from the children and/or mom. Approximately 7-8 images will be included from the session as well. I will shoot the images based on the type of session chosen (ie: different images might be needed for the book, which will be discussed in advance). Prints are not included with these packages (except as noted above), but may be purchased separately.